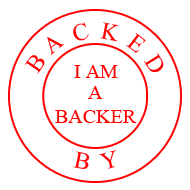 I am A Backer: **UPDATE SCiO: Your Sixth Sense. A Pocket Molecular Sensor For All! This is an amazing little device. There is no need for me to try to explain this wonder for its size so take a look below and help fund their project. They have surpassed their funding goal and now they have one of the best stretch goals, if they reach $2,000,000 in funding they will allow anyone who backed them on kickstarter to have lifetime use of their apps and servers for free( currently capped at 2yrs for backers). ***They reached their $2,000,000 stretch goal and now we all(kickstarter backers) get unlimited lifetime non-comercial use and downloads of any app they create for the SCiO! Scan materials or physical objects. Get instant relevant information to your smartphone. Food, medicine, plants, and more. Smartphones made it easy to research facts, capture images, and navigate street maps, but they haven’t brought us closer to the physical environment in which we live – until now. Meet SCiO. It is the world's first affordable molecular sensor that fits in the palm of your hand. SCiO is a tiny spectrometer and allows you to get instant relevant information about the chemical make-up of just about anything around you, sent directly to your smartphone. Out of the box, when you get your SCiO, you’ll be able to analyze food, plants, and medications. Upload and tag the spectrum of any material on Earth to our database. Even yourself ! These are just a few of the starter applications that you can use upon receiving yourSCiO. After SCiO is released new applications will be developed and released regulary. If you order SCiO from Kickstarter you will get all new applications for free in the next two years. The possibilities of SCiO applications are endless. for example in the future you can use SCiO to measure properties of cosmetics, clothes, flora, soil, jewels and precious stones, leather, rubber, oils, plastics, and even your pet! The SCiO Mobile App allows you to choose a specific SCiO application from the available options. Once you choose the app you need, you are ready to scan. Every time you use SCiO you are helping to build a database of knowledge about the stuff around us. So when you use SCiO, you are making everyone smarter. The bigger our community gets, the more data SCiO will have about different materials and this goes right back to our community of users!. SCiO is for anyone who would like instant information about the things they interact with and consume every day. It is also great for people who want to help develop a rapidly expanding database of useful knowledge that will benefit the entire community of users. SCiO is based on the age-old near-IR spectroscopy method. The physical basis for this material analysis method is that each type of molecule vibrates in its own unique way, and these vibrations interact with light to create its own unique optical signature. The spectrometers which are normally used for these high-end near-IR spectroscopy applications are very big and expensive. They can be the size of a laptop and cost tens of thousands of dollars. SCiO is unique as it is based on a tiny spectrometer, designed from the ground up to be mass-produced at low cost with minimal compromise on the available application. This unique feature is achieved by several technology breakthroughs our team has made in the past few years, as we reinvented the spectrometer around low-cost optics and advanced signal processing algorithms. To deliver relevant information in real time, SCiO communicates the spectrum to your smartphone app via Bluetooth, which in turn forwards it to a cloud-based service. Advanced algorithms analyze the spectrum and within seconds deliver information regarding the analyzed sample back to the smartphone to be presented in real time to the user. We have made loads of prototypes and we are ready to take SCiO into production with your help! Get a maker's kit and create your own form factor or unique smartphone add-on. If you have access to a 3D printer - design and print any form factor, fueled only by your imagination and tailored to your specific requirements. Use our Application Development Kit (ADK) and create a custom made application to scan things that interest you. Anyone, no matter what scientific or technological background they have, can create a SCiO application. Scan solids, liquids, or powders. Use one of our pre-defined user interfaces or build your own material sensing app. Integrate it with existing smartphone applications or create a whole new augmented reality app or game. The possibilities are truly endless. SCiO has been under development for several years now. At first we only knew what we wanted it to do and we looked for the right technology to provide a solution. It took us few months to define the right technology and come up with a first concept. From concept we have gone through 2-3 stages of technology proof-of-concepts. Several months ago we have finished the development of our first prototype. Since then we have produced our 2nd generation (current prototype) and have released several firmware and cloud-based software versions. We have completed the future design of the final product and are now ready to go into mass production. Once the first working prototype was ready, we had to "teach" it what different substances look like. A team of chemists, food technologists, and lab technicians who have been sampling materials like cheese, fruits, grains, oils, pills and much more, in order to begin building the database of substances that the device will identify and analyze. When SCiO hits the market, every user will be able to help expand the database by sampling an array of plants, pharmaceuticals, and raw food materials. Our R&D team is truly multi-disciplinary, encompassing all the relevant engineering know-how: from optics, physics, electronics, manufacturing, low-level firmware and real time algorithms to back-end software. In addition to data scientists and algorithm experts, our team includes members with degrees in applied physics, chemistry, food technology, and nutrition. Our engineers and advisory board have PhDs or advanced degrees in their relevant fields and hail from top tier reserach institutes such as MIT, Stanford, CalTech, Harvard, Wiezmann Institute, The Technion, and Tel-Aviv University. Beyond SCiO, our company is developing products geared at industrial applications, where distributed low-cost molecular sensing complements traditional centralized quality control systems. SCiO has been in development for several years already. We’ve successfully built multiple working prototypes and are now ready to bring SCiO to consumers around the world. We chose Kickstarter because we think it’s an amazing platform for bringing innovative, new products to market. The Kickstarter platform helps us facilitate interactive conversations with future users. By backing our project in Kickstarter, you are helping finance the initial production and manufacturing costs, in turn ensuring that we can offer SCiO at the lowest price possible. SCiO is a very powerful instrument, it can be used for many applications, of which Consumer Physics is building the first few. We are excited to see what applications will be built in the future. Support us now and get your SCiO for a ultra low price, two years of FREE downloads of all the apps we will develop, and back the next wave of consumer sensing experiences! In gratitude for your support, we will lift the 2 year limit on free SCiO apps for our Kickstarter backers upon hitting the $2,000,000 mark. Our reaching this stretch goal will enable you to use any app developed by Consumer Physics, for free, with the SCiO you got on Kickstarter, for your personal, non-commercial use. You can enjoy this perk with no time limit as one of our awesome early supporters when we hit $2,000,000!